Save AED 9 (33.33%) – Earn 2 Shukrans What is Shukran? Shukran is the Landmark Group’s award-winning loyalty programme in the Middle East, which allows you to earn Shukrans when you shop any of our brands. 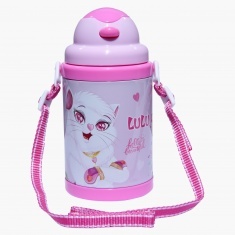 Safe and easy to use, this charming water bottle is an ideal pick for your toddler's regular use. 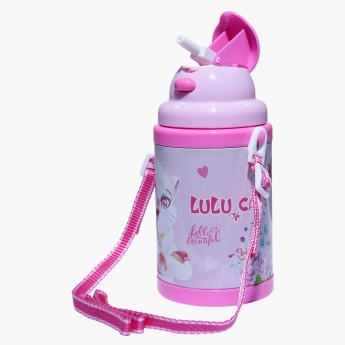 Sporting Lulu Caty printed on it, this durable bottle is leak-proof and convenient to wear owing to its strap.